This house was, according to Hans Fransen, built on the ‘market garden, ‘Weltevreden’. In 1822 it was transferred by A. Smuts to P. Auret, and in 1830 he transferred it to Hendrik Johannes Hofmeyr. 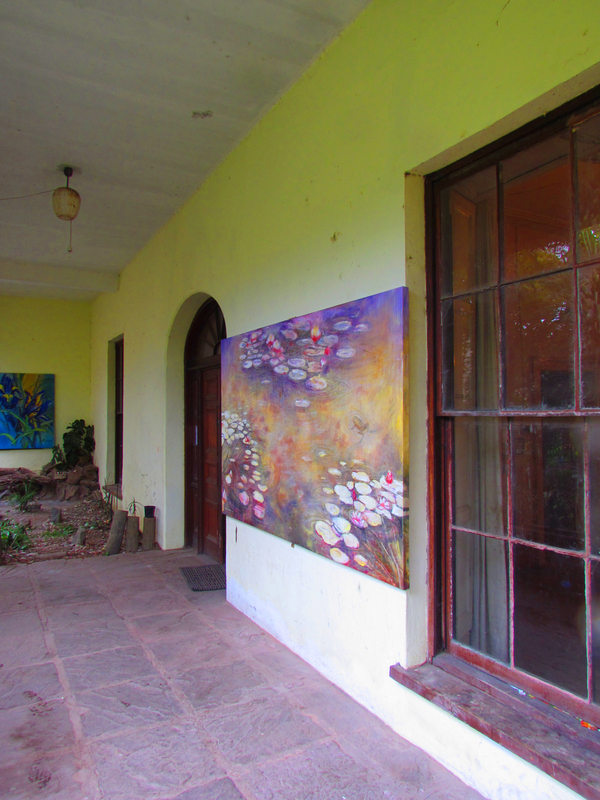 The property was sub-divided in 1855 and 1857, with Sebastiaan Valentyn Hofmeyr acquiring the San Remo portion in 1855. Between this date and 1857 the property value rose steeply and again in 1857/60and it is presumed that this was when the rectangular, two room deep double-storey was added to the front of the original single storey U-shaped house, possibly by the following owner, Richard Henricus Daneel. There were a number of later additions. In the house there are mid-19th century sash windows and an eight-panel front door. The house is currently being repaired and renovated by Jane Visser Architects, and Jane (niece of Dirk and Mike Visser) has very kindly arranged for us to visit the house. Hans Fransen (2004) The Old Buildings of the Cape, 66. OUTINGS ARE FOR PAID-UP VASSA MEMBERS ONLY: PLEASE REMEMBER TO WEAR YOUR VASSA BADGES ON ALL OUTINGS! ‘Cedric Castro …undertook to renovate the building into eight apartments. The apartments, likely to be named Wilton House after a previous incarnation of the building, will be available only to rent. The building, originally a barn built in 1806, was transformed into a Georgian villa and then a lodge for nurses. It later became San Remo Guest House, but it fell into disrepair and became cheap accommodation in the 1990s. It has long been a problem building, with drugs and prostitution being major concerns. “It was a dangerous place and it has to be changed to improve the area,” Orengo de Lamaziere said. To “rejuvenate the soul” of the building, he invited a group of artists to use rooms as studios for 18 months after which an exhibition was held. Heritage practitioner Chris Snelling was called in to assist with the heritage aspects of the proposal. As one of the founders of Heritage Western Cape (sic! ), he has had a special interest in the building. He confirmed that the building had had problems. He advised in terms of process, treatment to the building and how to rehabilitate it, but he said it was not a restoration as such because there was too much that was damaged and lost over the years. “From what I’ve seen respect and care is being given to the building and its heritage,” he said.